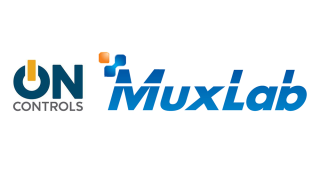 MuxLab has partnered with ON Controls to enhance customers’ user experiences. Under this partnership, all of MuxLab’s AV-over-IP products can be managed by the app-based ON Controls interface. With a scalable and customizable platform, ON Controls enables control and integration of AV-over-IP systems from any iOS or Android smartphone or tablet. The relationship between MuxLab and ON Controls gives improved access to AV equipment. In some applications, users simply tap their sources to assign them to one or more displays. One prime example is the installation at a number of Cage Aux Sport restaurants in Quebec, Canada. MuxLab provided the infrastructure to distribute sporting events to a large video wall for an engaging atmosphere. Cage Aux Sports uses ON Controls software on wireless tablets to manage the video wall. It can easily be scaled up or down at any time. Matrix switching and video wall screen reconfiguration, including creating sub-video walls, is managed remotely, making for a cost-effective solution that anyone in the restaurant’s staff can handle.